The 2016 Summer Olympics games are taking place this month from August 5-21, 2016, in Rio de Janeiro, Brazil. Here are some great photos of popular and very pretty female soccer star Louisa Necib who is playing for France at the 2016 Rio Olympics. 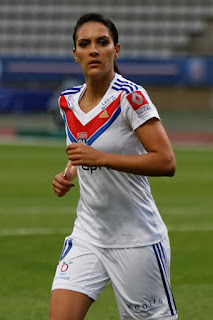 Louisa Necib was born on January 23, 1987, in Marseille, France. Louisa Necib is a midfielder in soccer and she is well known for her attacking skills and gifted play-making as well as her pretty looks. Since 2007, Louisa Necib has played professionally for Lyon the most successful women's soccer club in France. 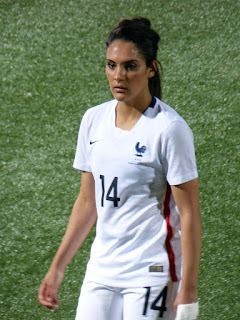 Louisa Necib has played for the French national women's soccer team since 2005 but she is planning on retiring from the national team after the 2016 Rio Olympics. Going into the 2016 Rio Olympics, Louisa Necib has scored 34 goals in international play for France.